Ethiopia and India were the only two countries that I had planned to visit before leaving for my travels. There were several forces that drew me to Ethiopia. Having spent a lot of time in Israel, I had interfaced with Ethiopian Jews and had become interested in their culture. I had also been quite obsessed with Ethiopian cuisine for the greater balance of my life. I think I was eleven when I first tasted the remarkable flavors of Ethiopian stews served on injera bread. At that time, my favorite dish was doro wot—a chicken stew seasoned with berbere and clarified butter. However, since becoming vegetarian, I’ve been very content with a steamy plate of mesir wot or shiro, homogenous lentil and chickpea stews, respectively. Then there’s injera bread! Imagine a crepe with the taste of sourdough and texture like a thinly sliced sponge—that’s injera! Injera really makes exited because, not only is it the perfect utensil for eating Ethiopian stews, but it’s one of the world’s healthiest viands and is made of teff flour. Yetsom Beyaynetu, a vegetarian combination plate. But I’m digressing while getting too excited about food. 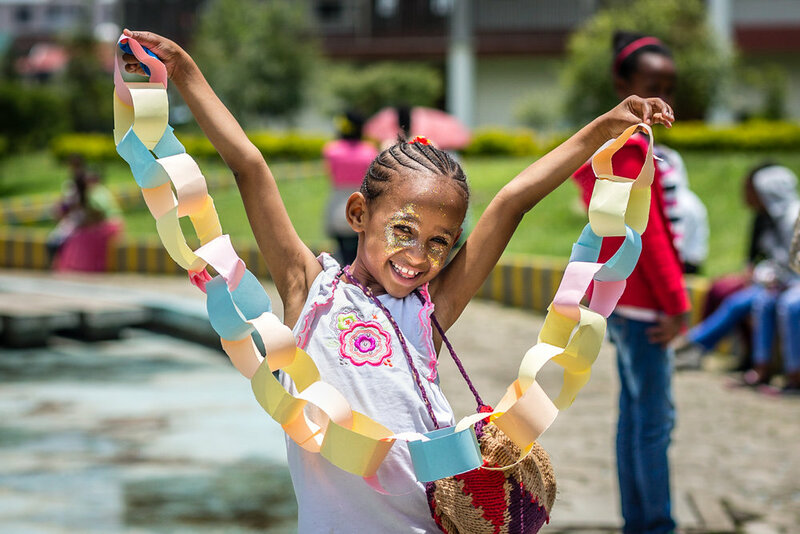 The principle reason I came to Ethiopia was to volunteer with Global Family Initiative (GFI) an American NGO that runs the Betasab Project in Ethiopia’s capital, Addis Ababa. 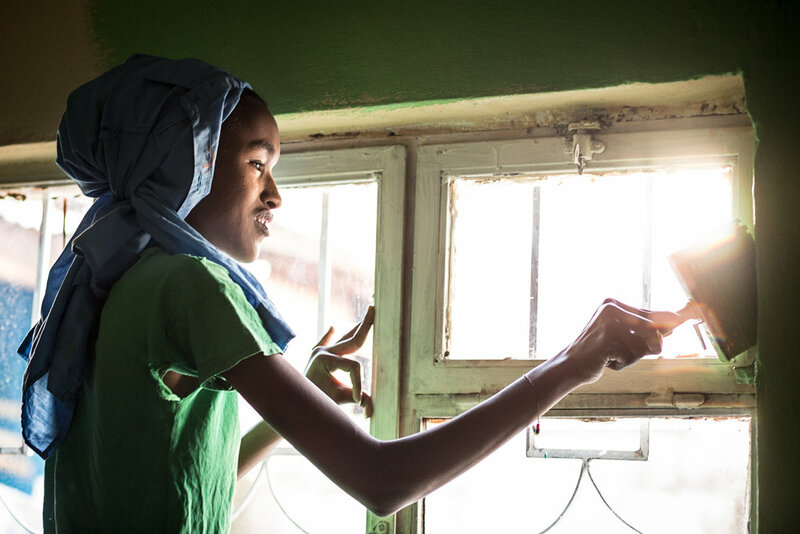 GFI initiated the Betasab Project, its inaugural initiative, with the aim of helping level the playing field for Ethiopia’s most impecunious and marginalized citizens. I was fortunate to have a preexisting relationship with Claudia and Nick, two of GFI’s cofounders, who are the wife and son of one of my Dad’s long-time friends. Over the years, I have witnessed from afar how this vision has proliferated into materialized into three different Betasab programs that aim to improve the lives of the most vulnerable of Ethiopian population, orphaned and vulnerable children, and marginalized women. Before I left the States, I had become wary of volunteering with a large organization. I worried that I would fall into the trap of being a mere "voluntourist," transmogrifying the experience of helping others into an endeavor most focused on myself than those whom, at least one paper, I had set out to help. At this point, I didn’t know a lot about GFI, but I did know that GFI is a small organization with a very dedicated volunteer Board of Directors. This knowledge helped allay my concern of merely participating a “feel-good” program. After traveling in Cambodia, where I learned about how fake orphanages exploit children to rake in big bucks from angel-headed tourists, I was all the more instilled with an acute sense of responsibility when it came to choosing a worthwhile NGO for which to volunteer. I landed in Ethiopia without hardly an inkling about what sorts of activities would fill up my days. 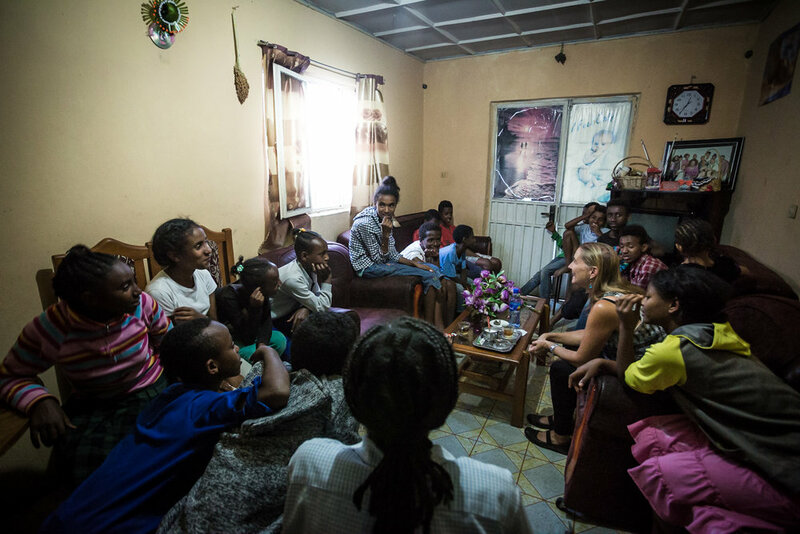 Before I arrived, Claudia had expressed interest in using my experience as a photographer to document the activities of the organization, primarily the Origins Homes program, which provides group-family homes for 20 orphaned and abandoned children. While on the one hand, I was glad that Claudia was interested in my photography skills, since this would allow to take a lot of photographs while I was there, I also knew that the camera can create a social barrier between the photographer and the individuals who are necessarily subjectified through the lens. I hoped that my duties wouldn’t be limited to photography as that would potentially make it harder to connect with the kids, who may mistake my camera for the tool of a tourist rather than that of a volunteer. The Betasab Ethiopia staff was in somewhat of a crisis mode when I arrived in Addis. One of the two group-homes were being unlawfully evicted and the organization needed to find a new home for the ten kids (and three “mothers”) who lived there! After a brief meeting with Betasab’s Program Director, Ephrem, I discovered that I would have a 1-2 hour block each day to provide activities for the Origins Homes kids. We decided that a combination of Yoga and English practice would be the most beneficial for the kids. So, left to my own devices while Ephrem madly tried to find a new house, I myself madly tried to come up with some sort of yoga and English based activities that would be both fun and educational. I had never taught yoga to kids and lacked the experience of having taught English to anyone. Adding to the challenge of figuring out what to do, was that the only space suitable for yoga was an uneven, concrete courtyard, which was often wet from the nightly summer rains. Still, I was pleased to do something that would allow me to engage with the kids in a meaningful way. Claudia, GFI's co-founder, running a seminar with the Origins Homes kids. The Origins Homes program provides a small group home to 20 children who are orphans or whose family are unable look after them. Laundry day at at Fikir House, one of the two group homes. I taught yoga to the kids. Ketamesh (left) stayed after class to work on more advanced postures. Ejigayeh, one of the Origins Homes program's "mothers" preparing food. Origins Homes kids hangout with Ephrem, Betasab's Country Director, in the Betasab office. Learning Lions intake day. Learning Lions is Betasab's program for supporting underprivledged families with school tuition. Selam Girma, Betasab's social worker, meeting a new Learning Lions student. Portrait of Jemia, a new Learning Lions student. In addition to covering tuition costs, Betasab provides uniforms and supplies for the Learning Lions. Here, a new Learning Lion is measured for her school uniform. Paint day at one of the Origins Homes houses. Claudia with a few of the Origins Homes kids near their home. Origins Homes children on their way to a special event for the Ethiopian New Year. Tsige, one of the Origins Homes kids, at the Love andCare event. Origins Homes kids (really young adults!) enjoying their fleeting moments outside before the diurnal summer rain. Working with the Claudia (who happened to be in Ethiopia while I was there), Ephrem, and the rest of the staff on the ground in Addis was truly a highlight of my two-years of travels. Not only because I finally found it in myself to put some effort into “giving back” to one of the countries I was visiting, but chiefly because the experience showed me what can become of an idea when inspired people put it into action. What a privilege it was to participate in this organization and witness first hand how they are changing lives! Oh, and just in case you were worried, Betasab eventually found a new home for the house that was evicted. I’ll also just note that through my hangs with Ephrem, I learned more about the peculiarities and technicalities of leasing property in Ethiopia than I could have ever wished for. GFI is a small organization with a deeply committed volunteer board of directors. Further information about GFI and opportunities to sponsor a child can be found at http://www.globalfamilyinitiative.org. All donations go directly to supporting the important work on the ground in Ethiopia. A portion of this post was reused verbatim from a letter I wrote for GFI’s Fall Newsletter. You can read the original version of that letter here.